From the critically acclaimed author of THE BROKEN EMPIRE series comes a brilliant new epic fantasy series, THE RED QUEEN'S WAR. In a journey across half the Broken Empire, Jalan flees minions of the Dead King, agrees to duel an upstart prince named Jorg Ancrath, and meets the ice witch, Skilfar, all the time seeking a way to part company with Snorri before the Norseman's quest leads them to face his enemies in the black fort on the edge of the Bitter Ice. 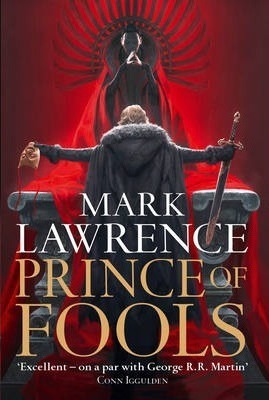 PRINCE OF FOOLS is the first book in the series. Between writing and caring for his disabled child, Mark spends his time playing computer games, tending an allotment, brewing beer, and avoiding DIY.